As Man Of Steel racked up box-office dollars and prompted instant talk of sequels and Justice League spinoffs, my heart began to ache for Superman Returns. Its status as a weird also-ran in the cinematic comic-book canon was already well cemented. Made with a budget reported between $206 and $270 million in 2006, it grossed a lackluster $391 million worldwide, a figure Zack Snyder’s reboot should blast through in the coming weeks. It also began building a reputation as a bizarre curio, an action movie without a lot of action sequences, and a re-launch of a character that was still tied to Christopher Reeve’s iconic portrayal. Oliver Sava quite rightly asked why it’s so hard to make a good Superman movie. 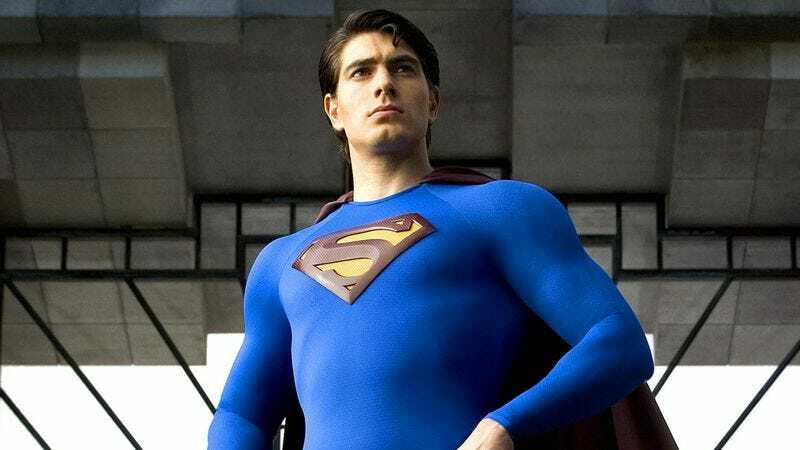 But I’d argue that Superman Returns, for all its flaws and stutters, its cautiousness, and its gentle approach to thrills, is the great Superman movie. It takes the stirring American-dream hero of the Richard Donner/Christopher Reeve films but tamps down their campiness and spends no time bogged down in Superman’s oft-told origin story. It explores his status as a Christ figure for the modern era—a god among men, but raised among them, wrestling with his godhood, often taking advantage of it in ways any weak mortal might. It’s remarkably sensitive and quiet for a blockbuster studio film, with more than one action sequence especially notable for a sense of stillness. It has none of the crunching bombast of Snyder’s action-fest, but also none of its disdain for innocent citizens. Some of Warner’s decisions in green-lighting Superman Returns make perfect sense. Superhero movies were back in style, and Batman Begins came out a year before to great acclaim. Bryan Singer was the man who made comic-book movies cool again with his work on the X-Men series, striking a balance between fan service and studio demands that left most people happy. But the pitch of the movie really is baffling. As a sort-of sequel to Superman II, it supposes that Superman left Earth for years, prompting Lex Luthor’s release from prison and a Pulitzer Prize-winning piece by Lois Lane saying the world didn’t need Superman anymore. I don’t know what’s weirder—that reporter Lois Lane won a Pulitzer for an opinion piece, or that Superman was really the only person on the planet who could testify to Luthor’s misdeeds in court. The most surprising plot choice is the slow build to the revelation that Superman fathered a super-child with Lois, although her new beau Richard White (James Marsden) thinks the kid (played by stock moppet Tristan Lake Leabu) is his. This ties into a whole half-baked father-son metaphor, overlaid by Marlon Brando’s monologues from the 1978 Superman, that contrasts with Superman’s sometimes reluctant status as protector of the planet. It doesn’t have quite enough room to breathe and it probably would have horribly hamstrung any sequel. But it also doesn’t deserve the scorn heaped on it by Superman fans who hate the idea of their hero felled by kitchen-sink drama. Superman as a deadbeat dad? Why muddy the waters with that when there’s hero business to be done? Because it raises the stakes on our hero’s humanity. Even as a lover to Lois, he’s still very much an alien, alluring in his otherness, but as the father of an adorable, asthmatic child he’s that much more tied to Earth. Singer’s (and writers Michael Dougherty and Dan Harris) decisions make sense when you consider the film as a statement on Clark/Superman coming to terms with his status as one of us, although for a commercial endeavor, they were ballsy to say the least. The film is a kneeling homage to everything great about Donner’s work on the series—the John Williams theme, the eternal period trappings of Metropolis (especially in the Daily Planet offices), the overwhelming gentleness of it all. Superman isn’t punching people through skyscrapers or warring with the suspicious U.S. military. In one notable sequence, he walks calmly towards a man pelting him with bullets from a chaingun to subdue him. In another, he catches the falling globe on the Daily Planet building and softly brings it to the ground in the best, most stirring representation of the character’s Golden Age iconography. That gentleness spreads to the supporting cast. Sam Huntington is the closest we get to comic relief as Jimmy Olsen, but he’s a much mellower figure than his comic-book equivalent. Frank Langella is an imposing presence as Perry White, but not a bellowing one. Kate Bosworth has steely moments as Lois Lane, but has none of Margot Kidder’s ballsiness and is hampered by the fact that she has to drag a 5-year-old around with her for most of her scenes. None are really miscast, but all the characters suffer from the implication that they’ve been quietly getting older during Superman’s absence—they’re more cynical, less astounded by the film’s hero, and more easily backgrounded. Not so Lex Luthor, played by a sneering, arch Kevin Spacey, who is as quiet as everyone else, except for brief moments of the character’s trademark rage. He gets a lot of screen time, and too much of it is devoted to his ridiculous scheme to build a Krypton island in the middle of Earth, assuming that by doing so and drowning half the other continents, he’ll be treated as the island’s landowner and not, you know, a hostile threat to the world. Mixing the rising of the tides with real estate to form the villainous plot is the film’s one true error, although it sets up one of its many transcendent moments. It’s these scenes that make Superman Returns stand out in a way no other Superman film has, and possibly ever will. The original films (especially the first) were dazzling in their depictions of our hero flying, but can’t help but feel dated now. What stands out to the contemporary viewer is Reeve’s brilliant take on Clark Kent and the bursts of spitfire comedy that come from Kidder and Gene Hackman, not so much the action sequences or ridiculous “spin the Earth backwards” conclusion. Man Of Steel invests lots of money and time in showing off Superman’s speed and strength, but the film is muddily shot, choppily edited, and ends in a cheap-looking, banal slugfest. The action sequences in Superman Returns don’t re-invent the wheel, but no film has done it better. Watching Clark soar above the planet and listen to the whole world at once, finally honing in on one thing and zipping towards it, beautifully underlines the dual blessing and curse of his powers. The film’s most balletic action sequence, his rescue of a falling jumbo jet, is stunningly executed and gives a sense of Superman’s strength and effort in an airborne sequence, which is tough to do. He so often seems like he’s just aimlessly floating, indestructible as ever, but Singer understand there should be a sense of weight to his efforts, be it holding up a collapsing plane by the nose, or, in the film’s climax, tossing a Kryptonite island into space. Man Of Steel, probably wisely, did not even use Kryptonite, an infuriating deus ex machina that seems to trouble most casual fans and detractors of the Superman character. Watching Superman crumple in pain before a glowing rock is akin to a vampire writhing before a cross: It’s been done a thousand times and it’s eye-rollingly dull. Superman Returns sees Luthor and pals (including Parker Posey and Kal Penn, the latter especially wasted) steal the radioactive rock from a museum, but the film’s conceit of holding the final showdown on an island teeming with Krypton radiation helps blunt the cheesiness. Or maybe it just makes the cheesiness work, because it’s undoubtedly corny to have Superman lift up a mountain while everyone else escapes in seaplanes. This film eats corn for breakfast, though (did I mention Superman balances a globe on his shoulders earlier in the movie?) and unabashedly bathes these scenes in autumnal glory. The Christ/angel imagery is inescapable (at one point, Supes falls from the sky, his arms outstretched as if he’s on a cross), but what else could you possibly be looking for in a Superman film? If the answer is bone-crunching action, there are a dozen other action/superhero franchises that do it better. If it’s screwball newspaper comedy, hold out for the day that someone makes a better version of Lois And Clark, because a two-hour film won’t really have the time for it. Bryan Singer understood in making Superman Returns that any attempt to modernize the character would be difficult and largely unhelpful. His efforts to update what worked so well about the original films had mixed success, but he has a far better visual and emotional sense of the character than anyone else who’s put him on celluloid. God knows we’ll be seeing variations on a theme with Superman and Clark Kent for generations to come. But here’s hoping Superman Returns isn’t just reduced to a footnote.